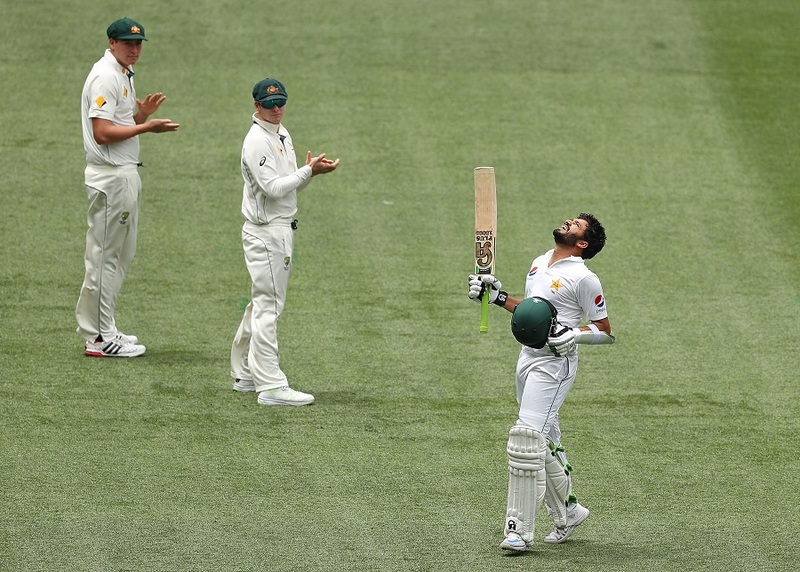 MELBOURNE: Azhar Ali posted an imperious unbeaten double-century with plenty of help from a destructive Sohail Khan to catapult Pakistan to 9 for 443 declared on the third afternoon of the Boxing Day Test at the MCG. While rain has cut significantly into the time left in the match, Pakistan’s aggressive intent has pushed the hosts into an increasingly tight corner, and created a situation where the visitors appear to be the only team that can win. 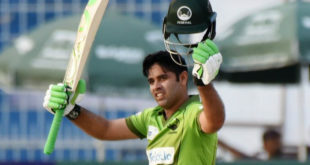 Azhar reached 200 shortly after lunch and finished only three runs short of Viv Richards’ 32-year-old record for the highest score by a visiting batsman in a Test match on this ground. Sohail, included for his bowling potential, took a terrible toll on the tiring Australian attack with the bat. Josh Hazlewood bowled manfully for 3 for 50 from 32.3 precise and persistent overs and got to 100 Test wickets by dismissing the last man to fall before the declaration, Wahab Riaz. The start of play was delayed by more than half an hour on an overcast and sultry day due to the lightest of showers that hovered over the MCG. When it did eventually resume, Azhar and Mohammad Amir recommenced with intent to build Pakistan’s tally before getting the Australians in to bat. Amir made it as far as 29 before feathering Mitchell Starc down the leg side for Matthew Wade to claim the catch. 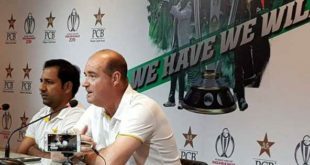 Sohail, likely to play a key role with the new ball whenever the innings concludes, then kept Azhar company as the opener pushed closer to his second double-century of the year. Light rain returned after a little over an hour of play, but when the covers were removed Sohail launched into the bowling with rare venom. Nathan Lyon was subjected to particularly heavy punishment as Sohail swung for the fences repeatedly, nailing no fewer than four sixes, several directly over the heads of the fielders placed in the deep to dissuade such shots. Content to let Sohail go, Azhar worked his way more steadily to 200. No fewer than 88 runs were taken from the final 10 overs of the session – including 15 off the last one bowled by Starc. On resumption, Sohail was narrowly run out, before Azhar made it to his milestone with a nudge behind square leg. Wahab being caught and bowled brought Misbah-ul-Haq’s closure of the innings.